My husband and I have wanted to make some changes to our guest room/office, formerly known as “The Pink Room.” A total room redo is not in our budget, so we have had to get crafty and do some thrifty shopping. It’s still a work in progress, but here is what we’ve done so far. 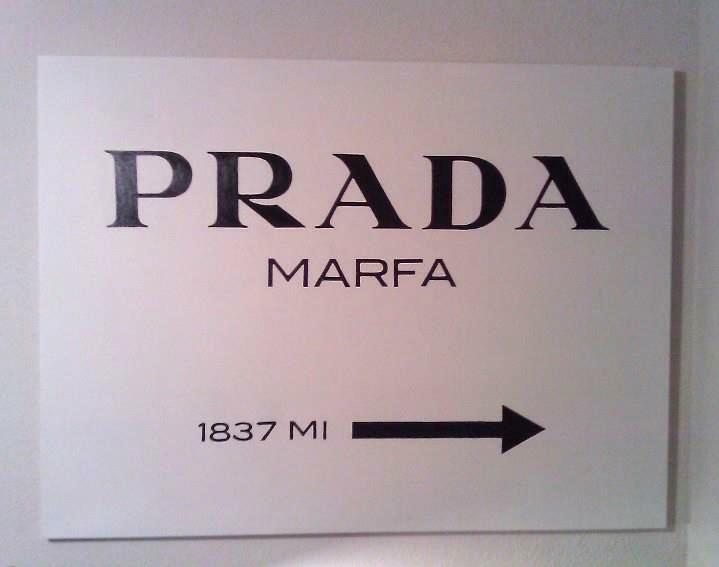 Prada Marfa sign painted by my husband. 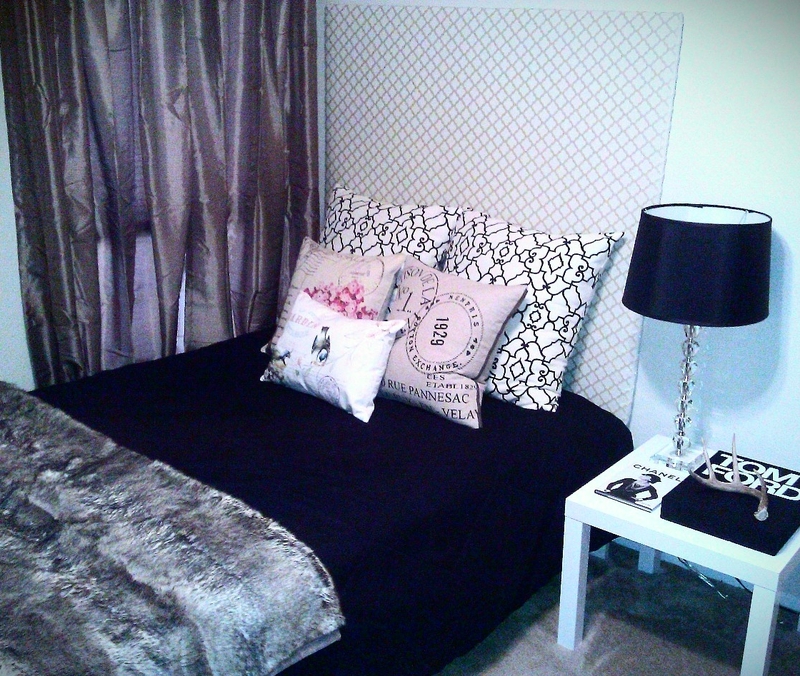 We made the headboard and the large black and white pillows with fabric from High Fashion Home. The faux fur throw is from Pottery Barn. 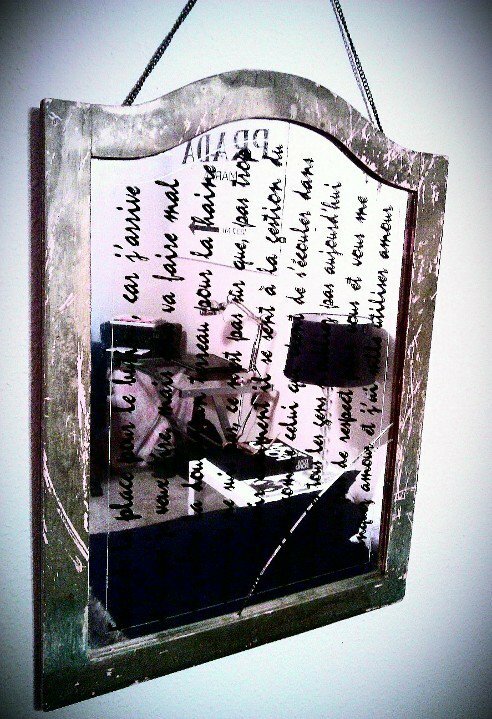 Rustic mirror with some of my favorite song lyrics made by my friends at Boggy Bottom Graphics. The table is from IKEA. 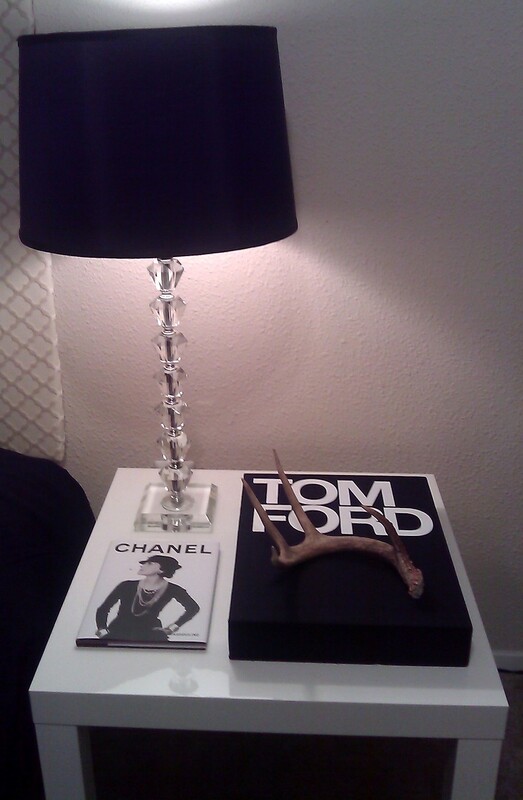 Tom Ford and Chanel books from Amazon. 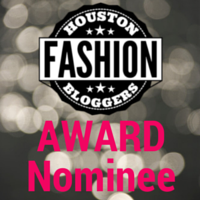 This entry was posted in Decor and tagged budget, Chanel, decor, DIY, faux fur, fur, headboard, makeover, Prada, Tom Ford. Bookmark the permalink.